· Understand the key concept in finance and investment. · Able to scale up by adding more value to your client when negotiating with the other party, as you will be able to estimate the financial implication of specific changes in the deal. · Improve your understanding of current financial market development and trends. · Understand the various types of agreements and needs of persons in the entertainment industry. 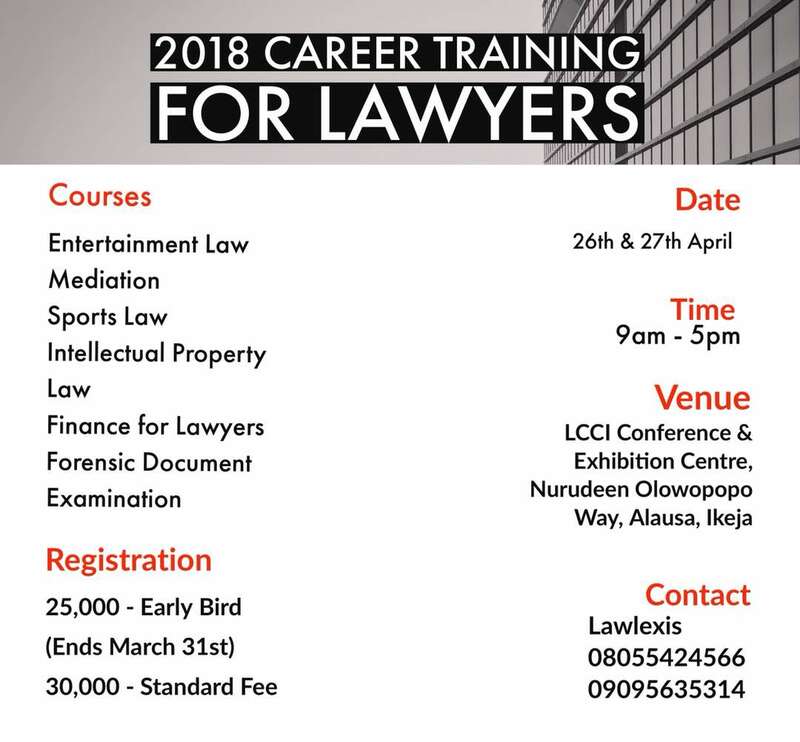 · Have a good knowledge of Sports Law in Nigeria and how to service clients in the sporting industry including athletes, sports administrations and organisations. · Understand the various agreements used in the sports industry and how to draft them. · Understand how to make use of mediation in resolving disputes for creatives, sports persons and entertainment industry players. · Understand how best to protect the Intellectual Property Rights of Creatives. · Learn the dynamics of Forensic Document Examination and how to identify forged documents, handwritings and signatures. 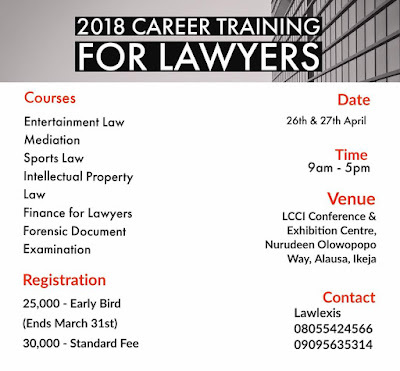 We have invited seasoned professionals with legal and finance background and decades of hands-on experience to share their experiences and skills with participants in the training. Our tutors are experts in the above areas of law and have a track record of excellence in their chosen fields and specializations.